Go ahead – Ask me a question. Got a question about cattle? Like why cows stick their tongues up their noses? Or why every time we go near them they all pee and poop? How about crops? Corn? Soybeans Wheat? Milo? Wanna know how a combine works? A tractor? A manure spreader? 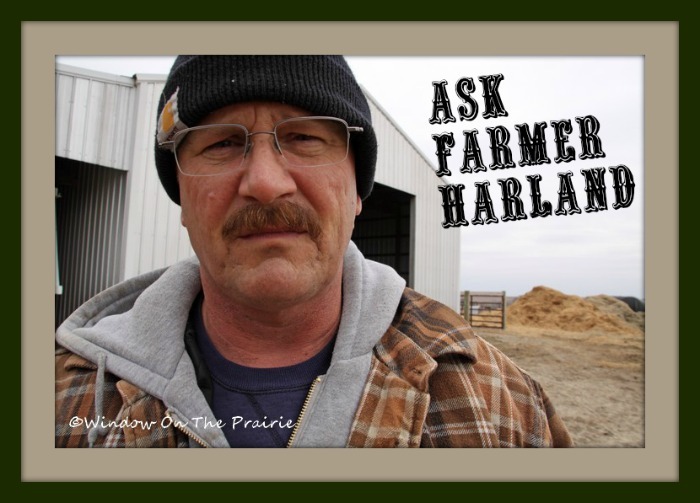 Have a general question about farming practices? Or a specific one? No question is stupid, I promise. I dare ya’. Ask me a question. Go ahead, get in line now to ask your question. All you have to do is go to the comment section below and type in your question. Then Harland will answer your questions in the order they were received. No pushing and shoving now – form an orderly straight line. Be ready with your questions and ask away.